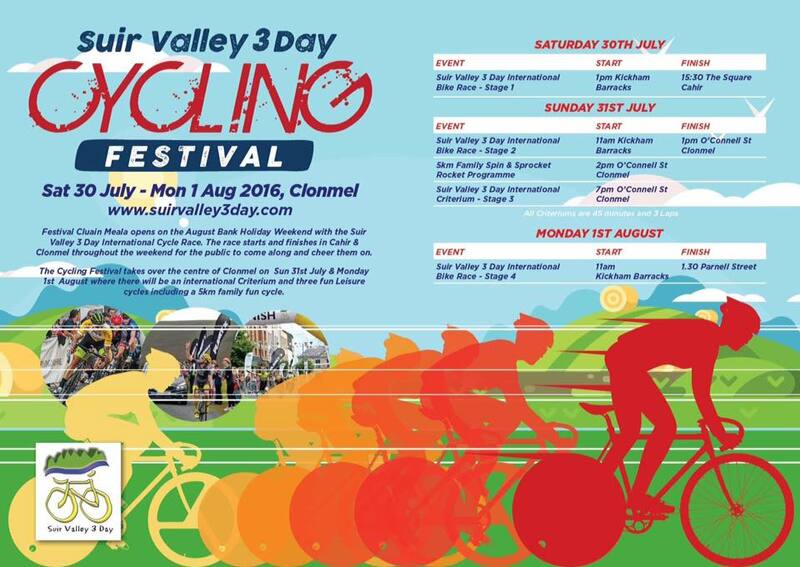 The entries to the 10th Anniversary Edition of the Suir Valley 3 Day has exceeded 160 riders with teams from Ireland , Wales , England and more. The event will be covered again this year by TG4 along with other media. The International race will be held on the August bank holiday weekend (July 30th, 31st and Aug 1st). This year, stage one will finish in the Square in Cahir at 3.30pm. Please come out and cheer them on.